The Canon PowerShot N is a brave attempt to try and stem the tide of the all-conquering smartphone, but ultimately it doesn't deliver on some of the key elements that smartphone users expect, namely easy connectivity and sharing, self-portrait shooting, and a wider range of creative filters. 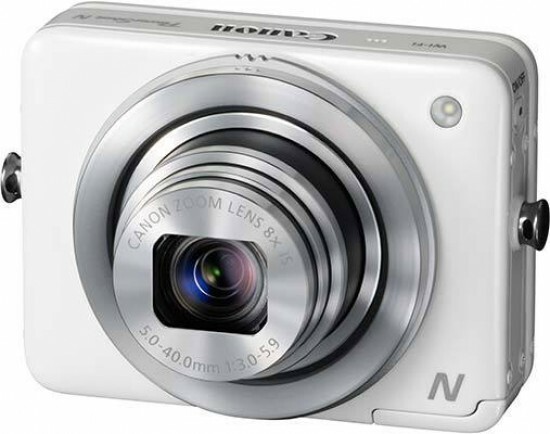 It's also too expensive at the full retail price of £269 / $299.99 - billed as a smartphone companion, we can't think of too many people who will pay that much extra for the Canon PowerShot N, despite its tiny size, good image quality and innovative design. Speaking of which, you'll either love or hate the PowerShot N's control layout, with the dual lens rings splitting opinion straight down the middle. Most people that we handed the camera to struggled to even take a picture until we explained what to do, so it's more imperative than usual that you try this camera out before buying. Image quality is good, with the employment of a modest 12 megapixel back-illuminated sensor helping the PowerShot N to perform well in low light, something that most smartphones can't even attempt, with a usable ISO range of 100-800 and even the higher settings proving adequate for web use and smaller prints. The PowerShot N's other major advantage is the 8x zoom lens, again something that smartphones can only currently dream of. Ultimately the Canon PowerShot N misses the mark both as an alternative/companion to a smartphone and as a compact camera in its own right, and it's simply too expensive to appeal to either camp. It may be the most surprising camera of 2013, for which we applaud Canon for trying something different, but it's definitely not the most well realised, whichever way you look at it.